When you’re eligible for a group retirement, savings and income plan, it’s part of your overall benefit package. A group plan offers more buying power because your contributions are pooled and invested with many others. This results in fees that are generally lower than those you’d find as an individual investor. GRS Access has all you need to manage your group retirement savings. Check your balance, make account changes, create a retirement plan and more. If you already have an Access ID and password, you can use it to sign in. 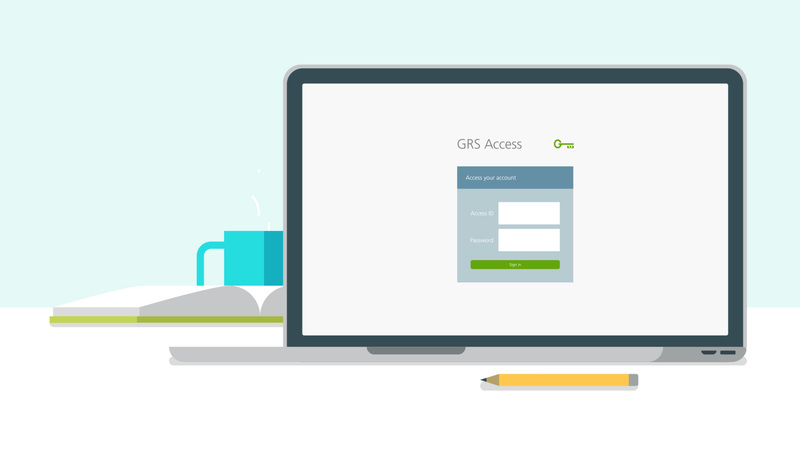 If you have been provided with a guest Access ID and password, you can use it to sign in to GRS Access and view details about the plans you’re eligible for. An RPP is a retirement plan for employees set up by an employer. Within certain limits it provides tax advantages because contributions are tax-deductible and investment income isn’t taxed until it’s paid out of the plan. An RRSP is a registered savings plan with the federal government. It has advantages because you don’t pay tax on investment income until you withdraw from the plan and your contributions are tax-deductible. A DPSP is set up by an employer to share profits with employees. A TFSA is not a traditional savings account. It’s a plan that can help you save for a large purchase or supplement your retirement savings plan. Your contributions also grow tax-free. An NRSP allows you to set aside additional savings for retirement if you max out your RRSP, TFSA or pension plan. An EPSP is a plan where amounts are paid by the employer into an account that allows you to share in the profits of your company. An employee stock purchase plan allows you to own a percentage of the company you work for by buying shares at a set price. An SPP is only available in Manitoba and Quebec. It offers flexible contribution levels and ad-hoc contributions. The PRPP is for employees who don’t have access to a workplace pension plan. Plan details vary by province. The VRSP is offered in Quebec for employees who don’t have access to a workplace pension plan. An IO plan is unlike traditional savings options. Providers like Great-West Life provide administrative and investment services for these plans. Great-West Life may offer both retirement and savings options if you’re leaving your previous employer’s plan because of a career change or retirement. A RRIF is a flexible income option to generate income from an RRSP. It continues to invest any savings not withdrawn as income. A LIF or LRIF is a flexible income option for people who have savings from pension plans, locked-in RRSPs or locked-in retirement accounts. With an annuity, you’ll receive a guaranteed income for a defined period in return for a one-time, lump-sum payment. The monthly amount received depends on varying factors.